The Master of Science in Analytics teaches students the skills that drive business success in today’s data-driven world. 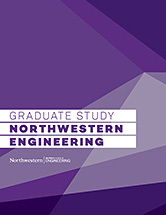 The Master of Science in Analytics program at Northwestern University is housed within the Department of Industrial Engineering and Management Sciences, a top 5 department in the nation, and McCormick School of Engineering. Our full-time, 15-month, professional master's degree immerses students in a comprehensive and applied curriculum exploring the underlying data engineering, data science, machine learning, artificial intelligence, and business of analytics. Supplemented by an internship and industry-supplied projects, graduates will be exceptionally well equipped to harness and communicate the full value of data to the organizations they serve. Identify and assess the opportunities, needs, and constraints of data usage within an organizational context. Integrate data engineering and data science to maximize the value of data. Design innovative and creative data analytics solutions. Communicate clearly and persuasively to a variety of audiences. In order to foster a close-knit community on campus as well as an engaged community after graduation, our program enrolls a small cohort of about 40 each year. Our students come from a variety of levels of experience and academic background. We have found that this diversity within the cohort has strengthened ties as well as equipped teams for engaging in real industry-supplied projects. The Master of Science in Analytics curriculum spans 15 months, including a required summer internship, and two industry-supplied projects. Exclusive and tailored to our program needs, the Master of Science in Analytics rigorous course curriculum is set and covers three major areas of analytics: predictive, prescriptive, and descriptive. Coursework in statistics, machine learning, artificial intelligence, optimization, databases, and data engineering form the core of our curriculum. Twice in the curriculum, MSiA students engage in applied projects sourced directly from industry. Working under the guidance of business and technical advisers, small teams of students work to provide the most effective and efficient solutions for industry clients while crafting demonstrable evidence of their advanced analytics skills. In the first three quarters of the program, students participate in 8-month Practicum projects. After returning from their summer internship, in the fifth and final quarter of the program, students participate in 10-week Capstone projects designed to showcase the skills gained in the program. Beyond their tailored coursework, practicum project, and capstone project, students are expected to constantly engage in career development. While the internship and job search are student-led, they are well-supported by the program. Master of Science in Analytics students can tap into both Northwestern University career resources, as well McCormick School of Engineering resources. Catering specifically to Master of Science in Analytics students, however, are industry networking nights, held bi-weekly every fall, as well as career fairs featuring recruiters specifically looking for MSiA students and graduates. Throughout each quarter, students attend informational sessions and presentations with companies looking for full-time data scientists and interns. Candidates for admission into the Master of Science in Analytics program hail from worldwide and from a diversity of academic and professional backgrounds. Our application for admission is available between September 1st and January 15th. Learn more about the program at an online information session.